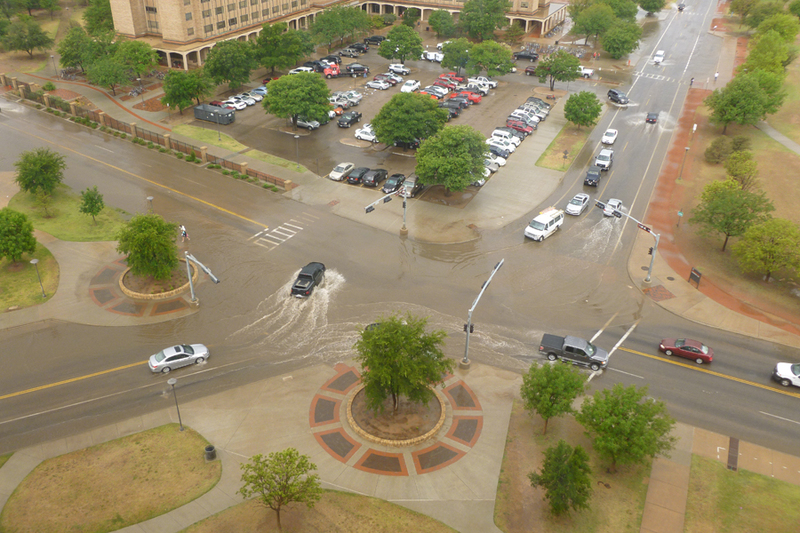 Lubbock, Texas has an average rainfall of 18.69 inches per year, only 2.69 inches greater than landscapes that earn being classified as a desert. But when it does rain this concrete jungle becomes pocketed with pools and puddles. The entire city holds a general cross sectional difference of 100′ inevitably leads the water to pool instead of shed. Intersections become pools and the playas become lakes. 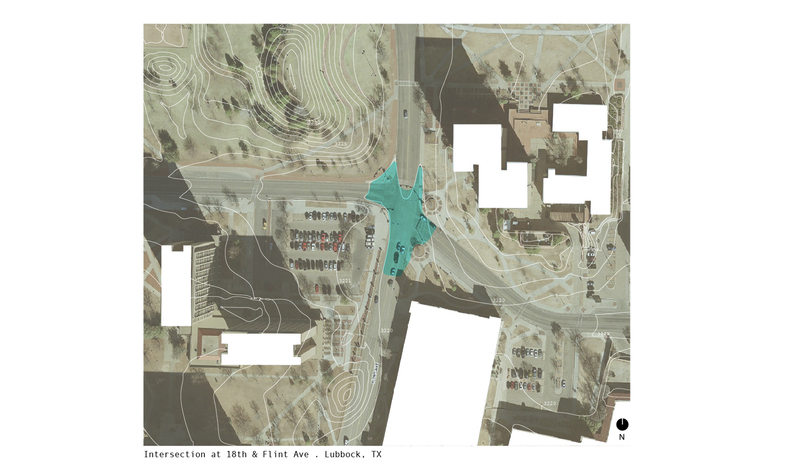 Impressively, the intersection out front of the TTU architecture building becomes one of the pools approaching 12″ deep along the street curbs. People often take off shoes and wade across while cars create wakes or waves depending upon their ambition. 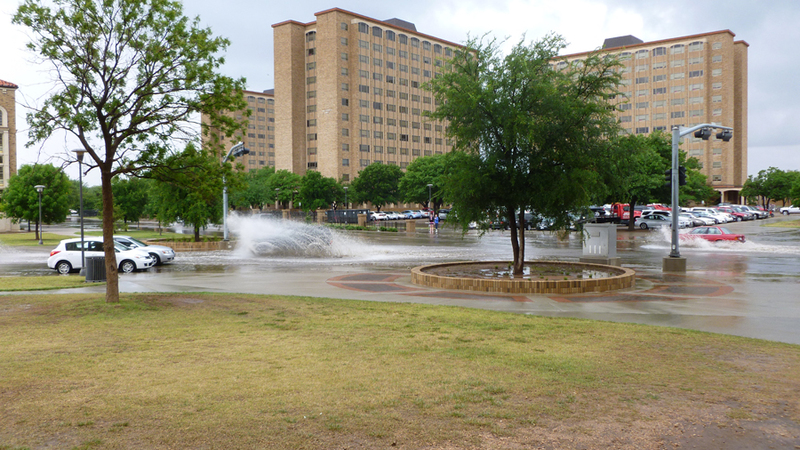 The water doesn’t stick around for long given the arid climate and frequent winds, but for the few hours after a heavy rainfall puddles and streams dot this usually harsh, windy and dry city. Flat lands make for fantastic puddles. This entry was posted in lubbock, west texas and tagged landscape, playas, pools by vmcreynolds. Bookmark the permalink.